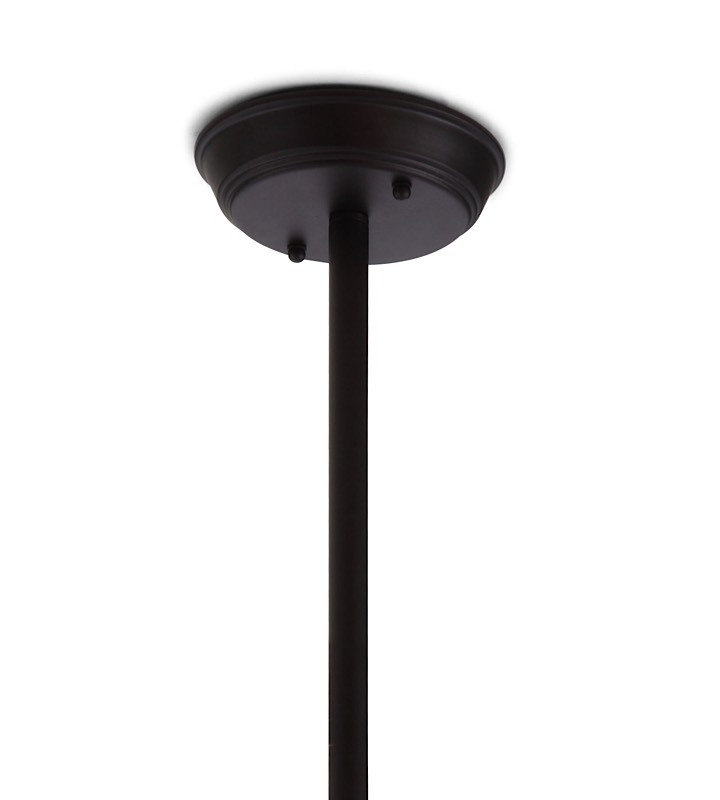 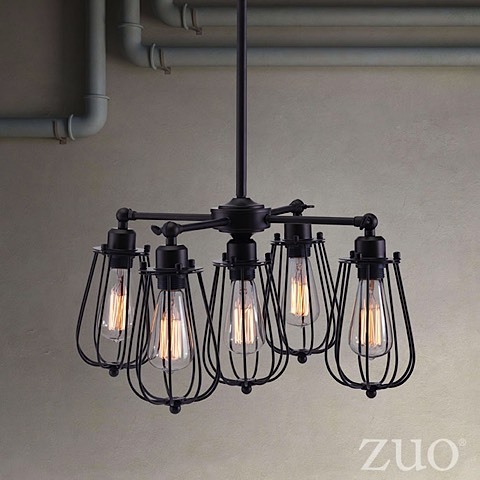 Porirua Ceiling Lamp features an antique look and feel with four (4) small arms, surrounding central fixture. 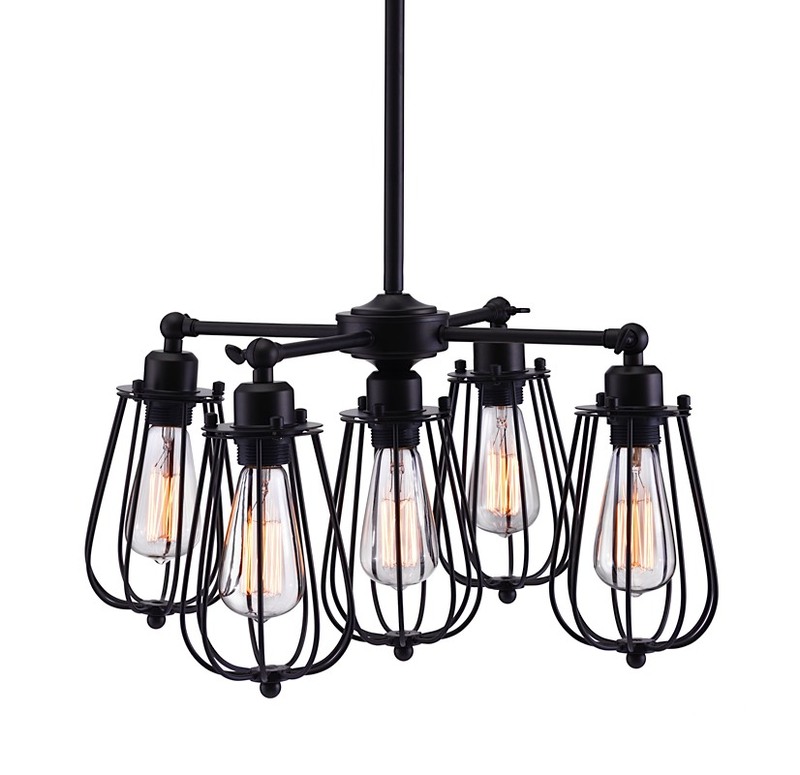 All 5 filament style bulbs are surrounded by teardrop shaped framed and caged pendants in a distressed black finish. 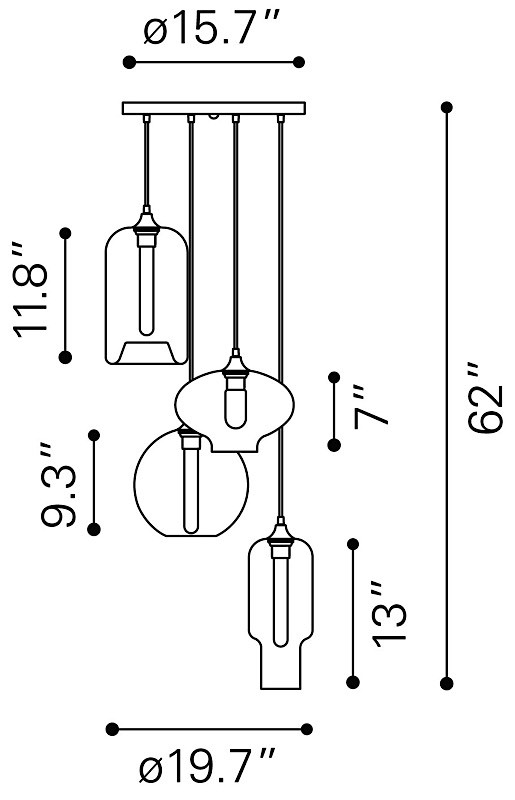 The lamp requires five (5) type S, E26 max 25 watt bulbs which are included. 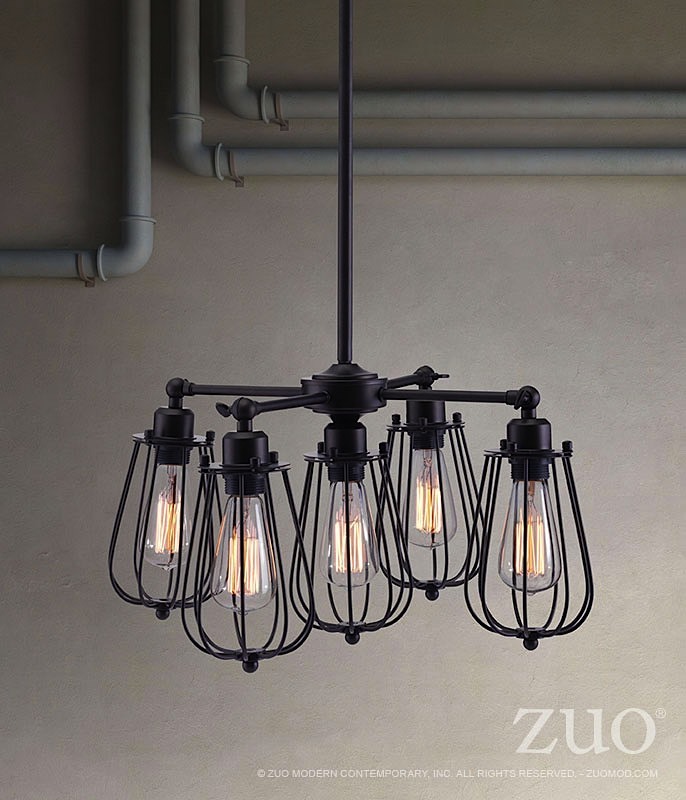 Coordinates with interiors ranging from antique to industrial and everything in between.